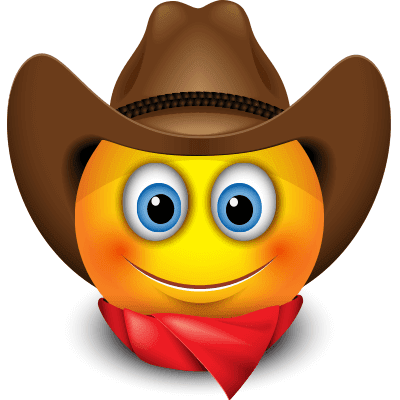 Add Western style with this cowboy-hat wearing smiley. Bright, bold, and brimming with awesome personality, this emoticon will enliven any post. The next time you decide to send a friend a message or update your status, mosey on over to our database and choose a fun image to share.